Are you one of the many who found orchids difficult to grow? Surprisingly, my mom’s favorite past time is to take care of her orchids. No matter how negative the feedback I hear from others, I just cannot believe them. The orchids in our garden are amazingly healthy, beautiful and enchanting. An all-purpose orchid mix is practical for those who want the job to be quick, with no hassles. 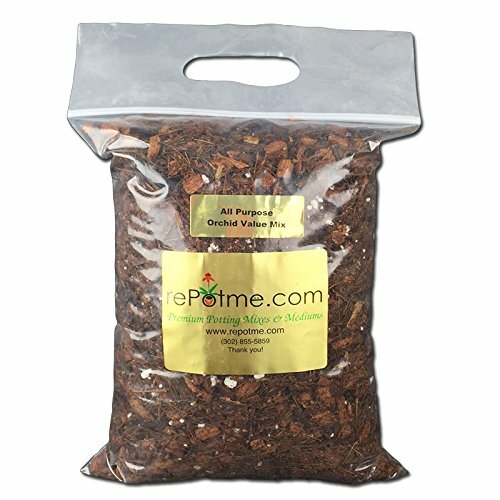 This orchid mix by RePotme is 100% organic with soilless potting medium. The premium quality hand-made plant mix guarantees great water holding capacity and aeration. You can apply this to any orchid variation. 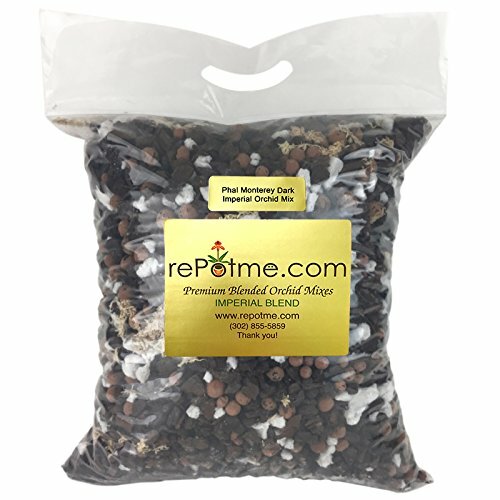 This potting mix is less costly, safe, fresh, and simple than other traditional mixes, and is a practical substitute for box mixes that you find in any store. Ingredients include freshly rinsed coconut husk chips, coir, and perlite. One pack can fill in four (4) 6” orchid pots. These Besgrow Orchiata Orchid Bark Power Plus suits mature orchids and those that need more AFP. It contains beneficial microorganisms for protection against plant pathogens and is PH balanced to eliminate the natural acidity of bark media. Besides, Orchiata is a sustainable growing medium that guarantees the finest quality, 100% pure New Zealand Pinus Radiata bark. 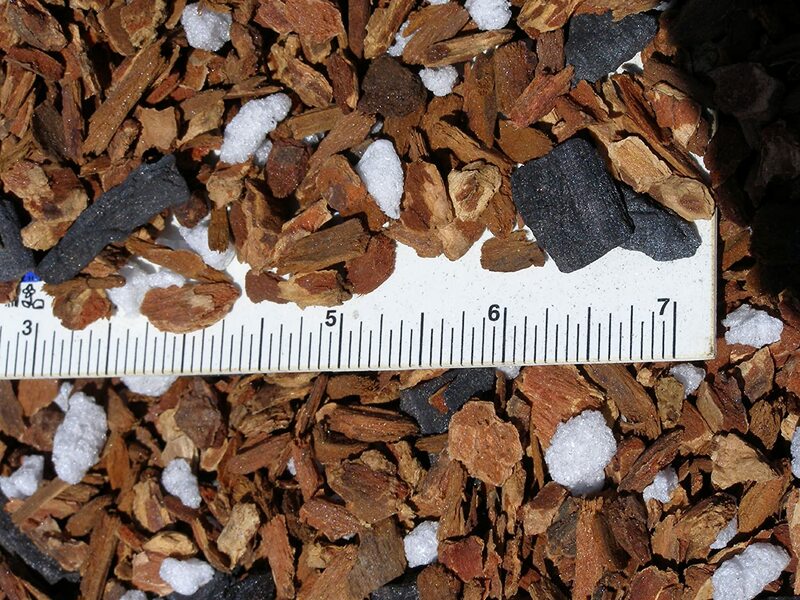 The bark is aged and not compost allowing water and nutrients to hold and does not break down. With this, it lessens the frequency of repotting. It does not accumulate salts and gives consistent hydration with an ideal wet/dry cycle. The fine orchid potting mix consists of Douglas fir orchid grade bark (dried and heat treated bark), charcoal, and sponge rock. A custom blend by Jim’s Orchid Supplies, this is now a favorite general purpose orchid potting medium. The said mix can even be stored for a long time if only you keep it in a dry area. Once you decide to use it for repotting, do not forget to soak the mix before application. 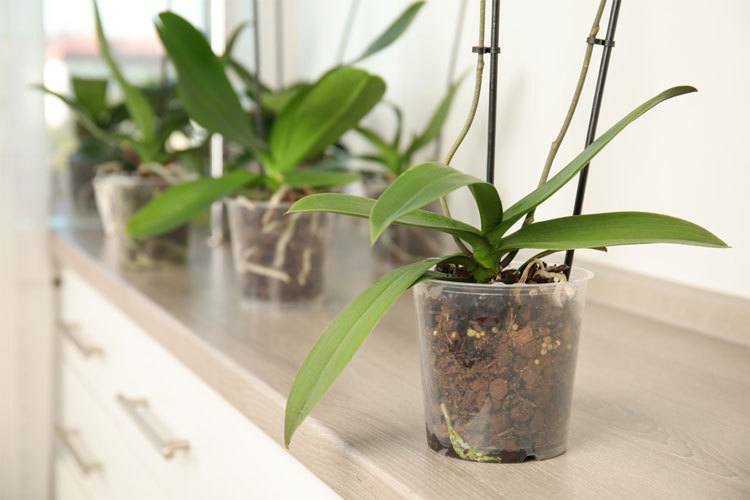 To give you an idea, the pack can fill in nine (9) 4-inch orchid pots and works well with starter and mini orchids. This special Imperial Orchid Mix is in fresh small portions of handcrafted batches. Each premium four (4) quart is packed in resealable bags. Containing the finest ingredients, the junior bag mix holds just the right amount of moisture for Phalaenopsis orchids. Ingredients consist of Medium Orchiata Monterey Pine Bark, hydroton, large sponge rock, and AAA New Zealand Sphagnum Moss. 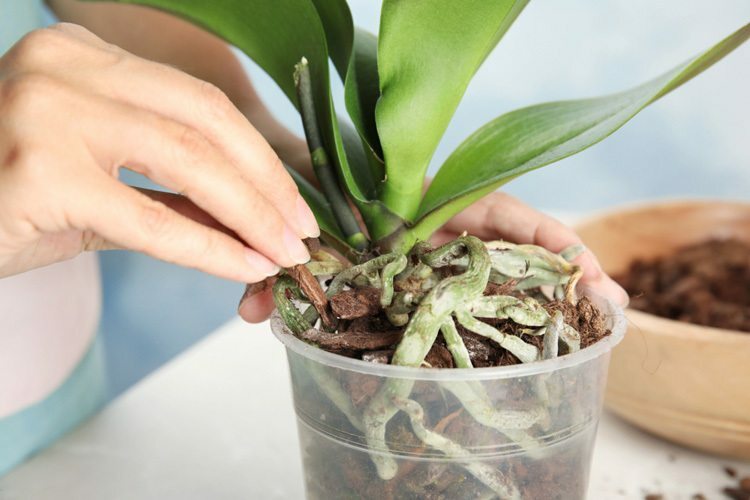 TO give you an idea, one (5-quart) pack can fill in an approximate five (5) five-inch orchid pots. The earthy scent of the mix can tell that it lets in enough oxygen to the roots besides being chunky and lightweight. 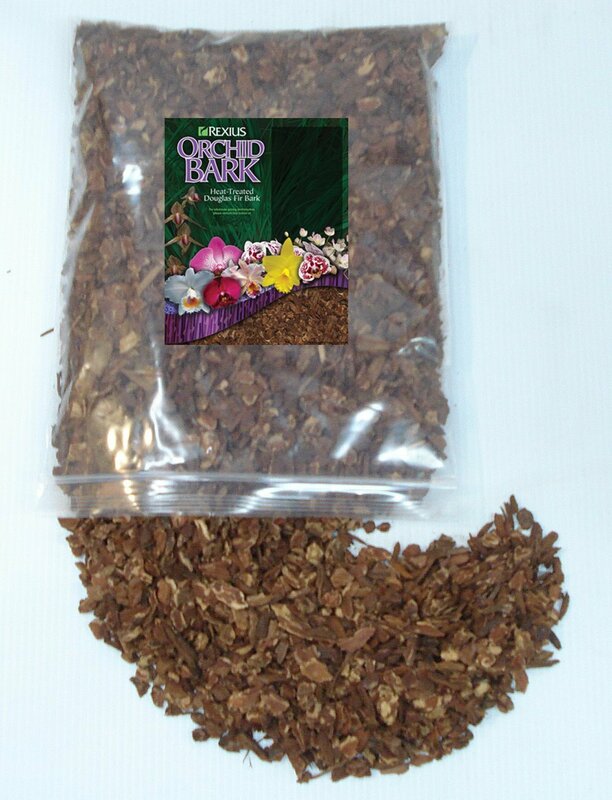 If you are starting to grow orchids for a hobby, I recommend this small chip size potting mix (4 quarts) that is clean, heat-treated and sterilized Douglas fir bark. 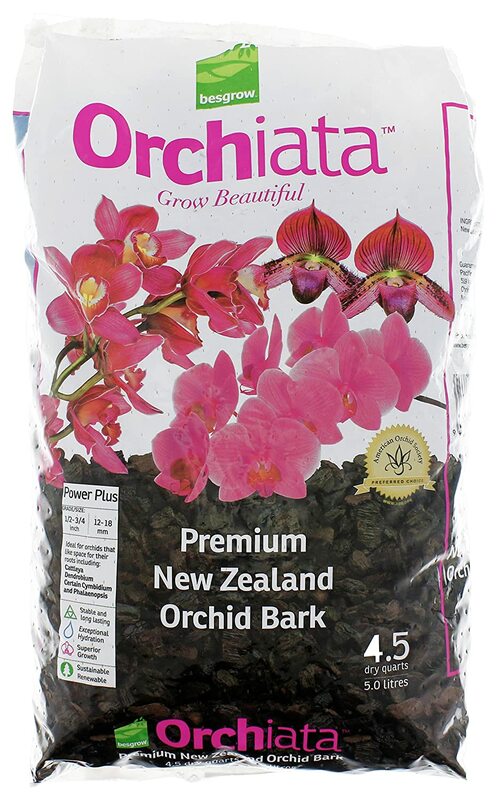 The high-grade bark package allows great drainage and air to the roots of the orchids. 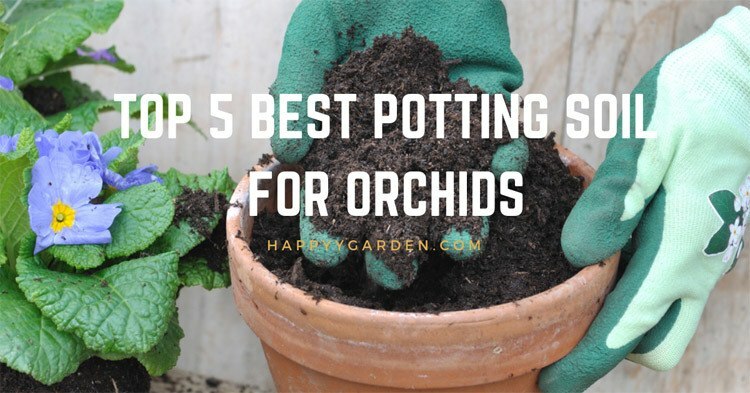 You can use the content for growing orchids, decorative cover for indoor and outdoor pots, or a lightweight drainage material in the bottom of your potting boxes. This is great for repotting orchids because it does not dry out right away. Hence, I suggest this for starters and for those who plan to repot their small orchids. It is in small portions, but guarantees to meet the highest standards of orchid’s growers today. Orchids are not like an ordinary plant, so never use the soil that you provide for other plants that you have in your garden. If you do so, it will die. If you plan to grow orchids or transplant existing ones, choose the soil mixture that is for orchids alone. This special blend contains ingredients that simulate the atmosphere in the wild where orchids thrive. Like any other plant, orchids love moisture. However, they do not have the same type of roots than your houseplants. It only needs a little amount of water to survive otherwise it will rot. Take note that the most vital factors for orchid soil are aeration and drainage. You will find out that usually, commercial planting mediums consist of ingredients such as peat moss, perlite, and fir bark. Know that each kind of orchid requires a diverse planting medium. Sellers have plenty of ready-mix for you to choose from depending on the type of orchid/application you need. If you have more time to spare and you think that, it would be better to make your own mix, there may be some advantages. This is practical if you plan to grow a huge selection of flowers. Like orchid growers, start by learning the right mix for each orchid. You might end up an expert after several experiments. Learning the characteristics of each orchid type is a hint. Although sometimes ingredients could be scarce to find, the most common materials are Rockwool, sand, charcoal, cork, and some polystyrene foam. You may want to try a new mix (either fine or medium) each repotting schedule. Fine Mix: Is suitable for the small type of orchids that thrives at the damp environment. Medium Mix: If you are not yet sure about your blends, the medium mix is safe to use and is good for mature orchids. I learned that when you say potting soil, it does not actually mean literally as soil. The “so-called” soil for orchids are these potting mixes found in my review! Plenty of commercial potting mix is available in your favorite outlets, but remember that orchids need more than the best potting soil there is. Your loving care and commitment is a big factor in growing these lovely creations. If you got the passion, I encourage you to indulge in this type of hobby. Take note that you must learn the potting mix that your orchids need!